The Chemistry Of The Blood — by M.R. DeHaan, M.D. Martin Ralph DeHaan, M.D. (1891-1965) was an American Bible teacher, pastor, author, and physician. Founder of Radio Bible Class. His simple granite gravestone, testifies of that great truth which he so keenly believed and fervently broadcast around the world, “...The Lord Himself shall descend from heaven” and “...the dead in Christ shall rise...” (1st Thessalonians 4:16) PERHAPS TODAY! Dr. DeHaan spoke to millions of listeners each week for some twenty-seven years on the Radio Bible Class. His academic training included a degree from Hope College, a medical degree from the University of Illinois Medical College, and further study at Western Theological Seminary. He was the author of more than twenty books and countless daily devotionals in Our Daily Bread, published by RBC Ministries of Grand Rapids, Michigan. Great Quotes by Pastor Martin R. DeHaan, M.D. 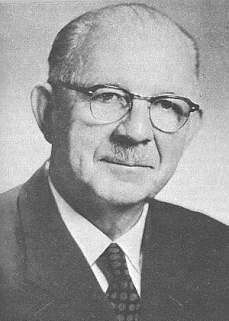 Dr. Martin R. DeHaan (1891–1965) was a successful physician in western Michigan when he obtained a degree in theology. He left his medical practice to pastor churches and then formed a Bible study ministry. Later he expanded the Bible study to radio and founded Radio Bible Class in 1938. He also began the publication of a daily devotional guide Our Daily Bread, still in circulation today. The broadcasts of a series of lessons about the blood of Christ led to the publication of a NINE CHAPTER book called The Chemistry of the Blood, still available today. You can order The Chemistry of the Blood at Amazon.com.